Help with ACS and Strife map conversations? Re: Help with ACS and Strife map conversations? That said, that was great. So the DIALOGUE won't work for my ZDoom maps? -How does Slade's work? I'm not good at learning new tools. 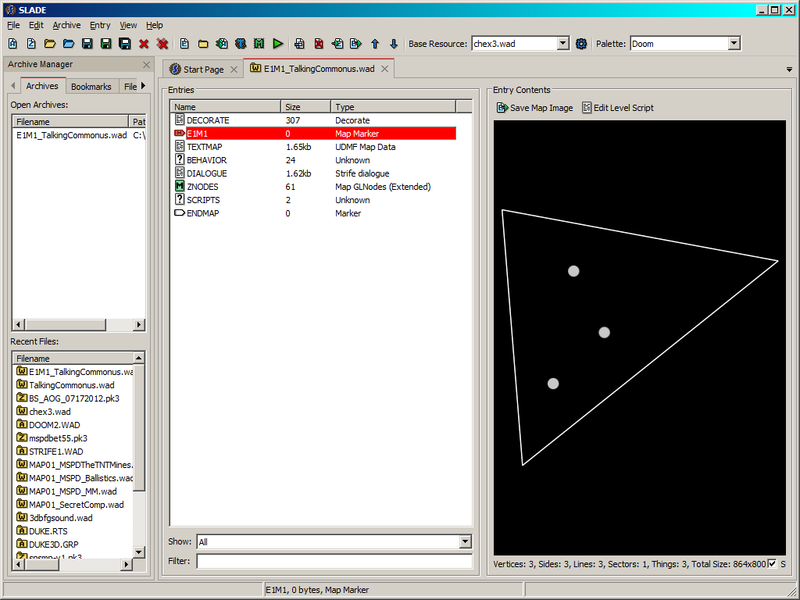 - NOTE: for some reason, this strife dialog setup does not work at all in Zandronum. That might be a Zandronum bug, because I think Zdoom 2.5.0 had that feature. ... after that I have no idea. I use Doombuilder 2 for maps, I just use Slade 3 as a "lump" editor (i.e., to add sprites / textures and edit DECORATE, stuff like that). In my opinion you should try Slade 3 as an alternative to XWE, I find it to be a big improvement. EDIT: Scratch that, I'm not sure if even Slade 3 can edit Strife Dialog; I guess plan B is to manually edit the DIALOGUE lump that goes with the map, it's not as convenient as how I would do it normally but if you're careful it might just work. EDIT 2: What error message did you get when you tried to run Doombuilder 2 and it failed to start? 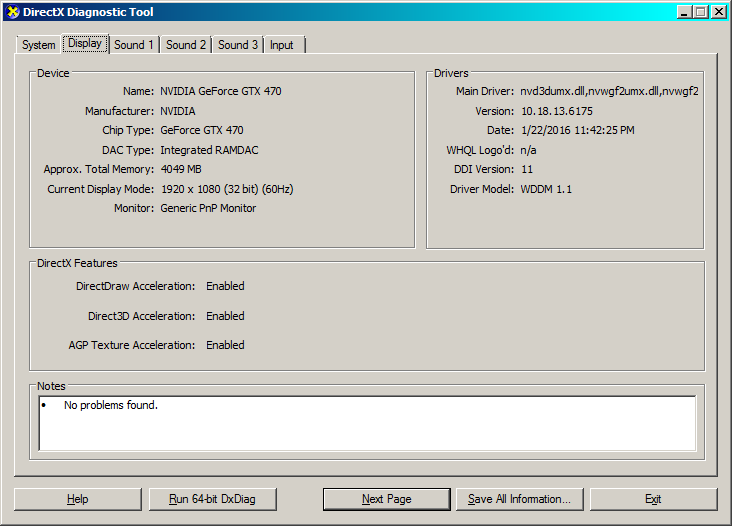 Oh, it was the DirectX on one... I forget the other... outright not allowed to use third computer we had at the time. They're required to run Doombuilder 2. I can confirm that Doombuilder 2 worked on an old beater Intel Core 2 Duo laptop from ~2004. The only person I've ever known who couldn't run DB2 had 512 MB of RAM, I think this is fixable without a hardware upgrade. Oh, my, no, I never did download those! I was on an old Compaq Presario (my dad's work computer) and found a tutorial on 'Chex Quest editing'... I was not surprised Doom Builder didn't work on it. It takes a year to go from page to page on Internet and sometimes just randomly throws up CMD windows. Then I brought them to my eMachines (XWE, DoomBuilder, WhackEd 2) and I don't remember how they worked... but I was exstatic when, while once again fishing around in TUCQ's folder (I did that a lot before learning to mod, 'cause I read his readme and found it was modded) and suddenly the wad had 'Edit with XWE'... and at that point I didn't care. I figured it out on my own like I figure so many things out. Even taught myself DECORATE... oh, old times. No, my goodness, I never downloaded those. I don't have DoomBuilder on this computer, though, I don't know how much space it takes up. I will look into it. 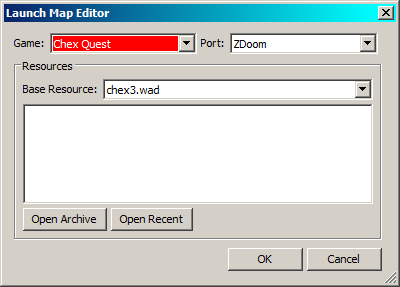 That would be a great thing to have, sometimes UDMF maps might be a lot better then ZDoom when modding... this is great.